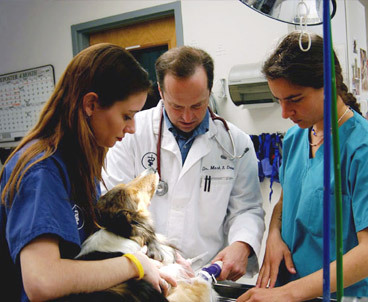 When your pet is injured or suddenly develops a life-threatening illness, this is an emergency. If you think your pet is experiencing a medical emergency - anytime, day or night - please call us at (631) 537-0035 immediately. It is better to err on the side of being too cautious. If your pet is experiencing an emergency outside our normal business hours, you will be given instructions to contact our on-call veterinarian.